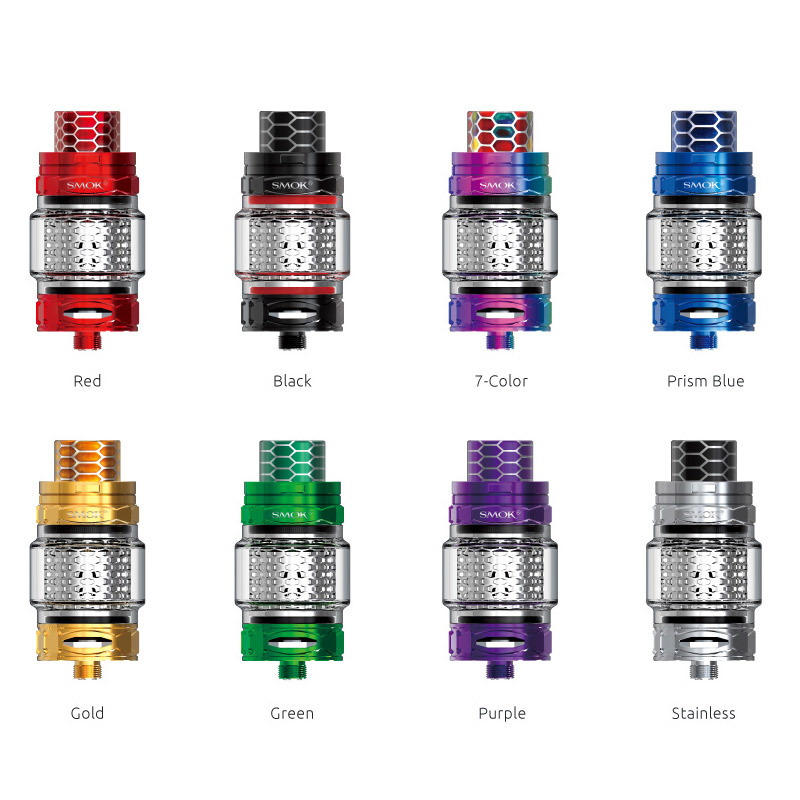 Smok TFV12 Prince Cobra Edition| Cellular Mesh Coil Structure| Change Colors with puff numbers! have you thought about magic vaping show? everyone can do the magic with this bad boy here! Here is TFV12 Prince Cobra Edition tank, the latest arrived new edition of SMOK TFV12, which is powerful and exclusive one on the market. Designed with cellular mesh coil cage, it brings you smooth flavor and pleasant vaping visually as well. When you refill e-liquid in the tank, you can see beautiful liquid fill every part of the cellular mesh! Besides, the SMOK TFV12 Prince Cobra features the gradient color when you take the puffs. It is the real magic tank. Also, its top and bottom parts have the snakelike pattern carved that deliver excellent texture. The patented locking mechanism helps you to prevent accidental leak problem. Working with the V12 prince series core, you can experience the different vaping. There are the 7ml standard Edition and 2ml EU Edition for your options. More information will be updated very soon. 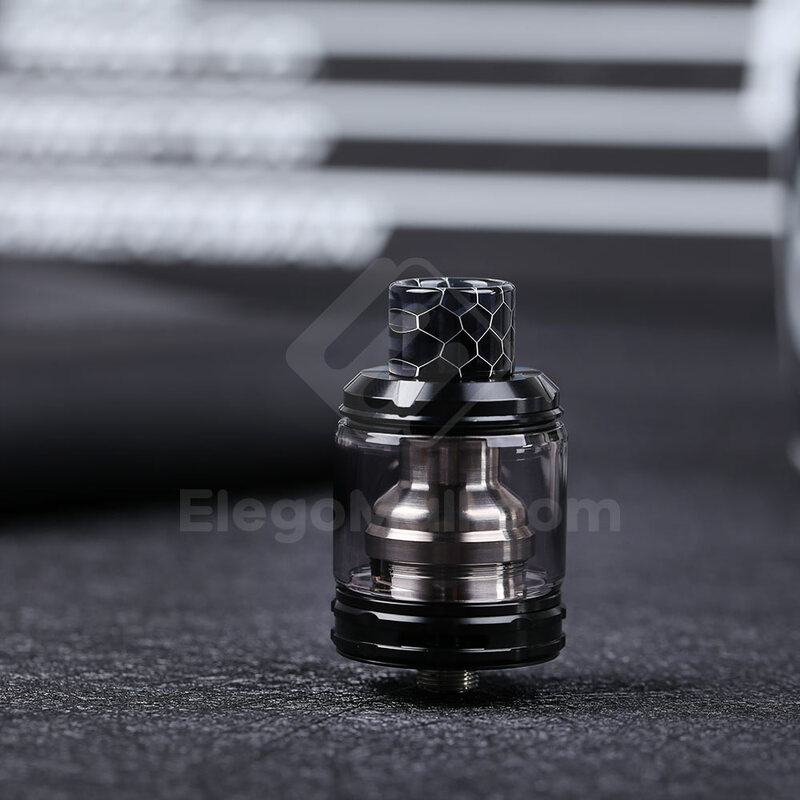 Welcome the coilless tank on board, here comes the latest Joyetech RFC Riftcore Duo RDA! With a new concept of a rebuildable dripper tank, the Joyetech RFC features a coil-less design. It frees your hands from countless wires and sophisticated building. The double heating elements are so durable that it is capable of sustaining a large quantity of one million puffs. The heating element also has a self-cleaning function for easy cleaning. 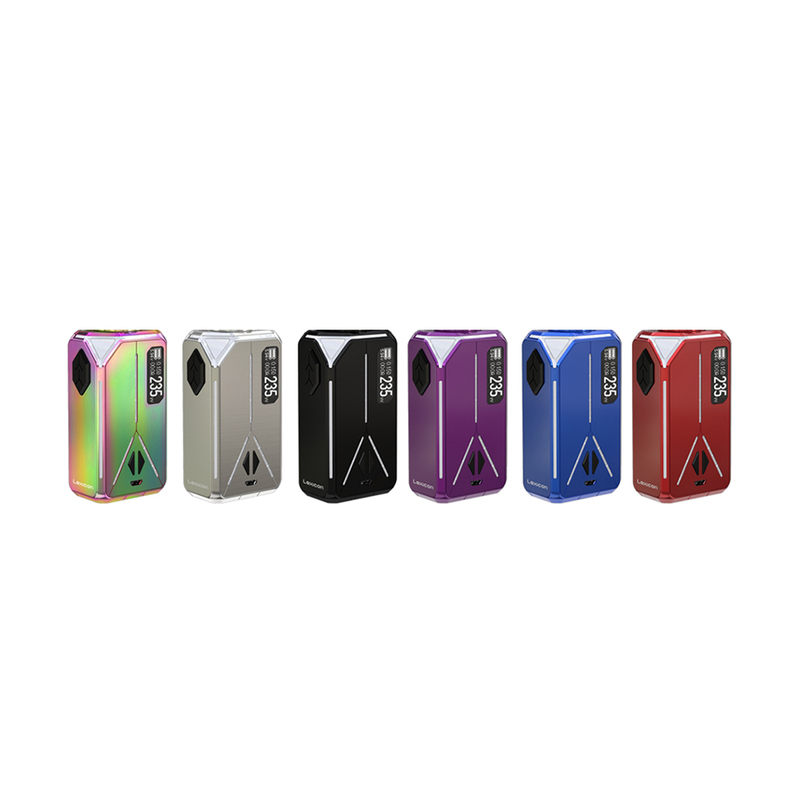 Eleaf Lexicon Box Mod is a high-end performance box mod designed with futuristic elements. Built with intersecting lights on its surfaces and edges, it shines in various colors and effects. Powered by dual 18650 batteries, Lexicon supports up to 235W max output, and it offers you instant vaping experience without any delay. Featuring a hexagonal fire key on the side and customer-friendly control buttons and the clear display, it is your exclusive guard for your vaping.